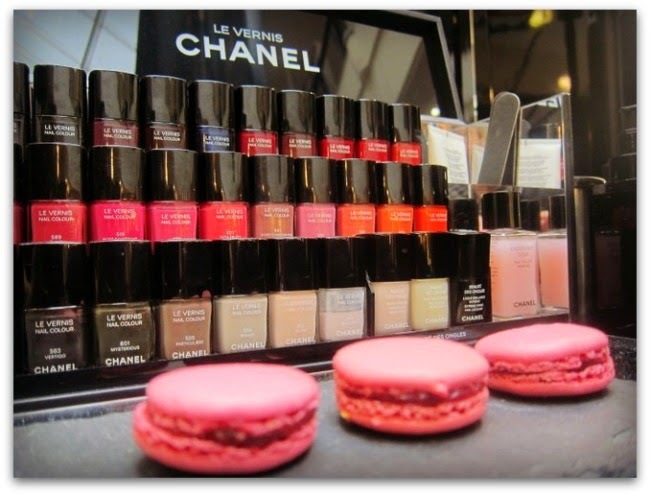 Chanel Pop-Up Beauty Lounge at Arnotts, 3-20 October: Do Not Miss It! 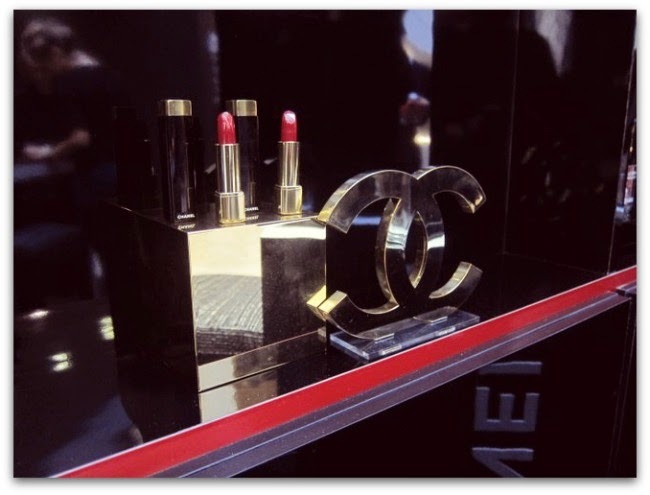 For all of its very serious high-fashion credentials, Chanel definitely has its playful side. Witness, for example, this fun and playful little video from the brand, featuring robots, bubbles and more - or the Chanel Nail Polish Shade Parade, with its dancing, Le-Vernis adorned fingers. The brand also has a history of inventive pop-ups, designed to be enjoyable and accessible (remember last year’s Covent Garden flower stall?) and – joy of joys – Arnotts Department store is playing host to one right now. Running till the 20th of October, the pop-up Makeup Lounge is a stylish but informal space designed to celebrate the brand’s delicious lip and nail colour collections. 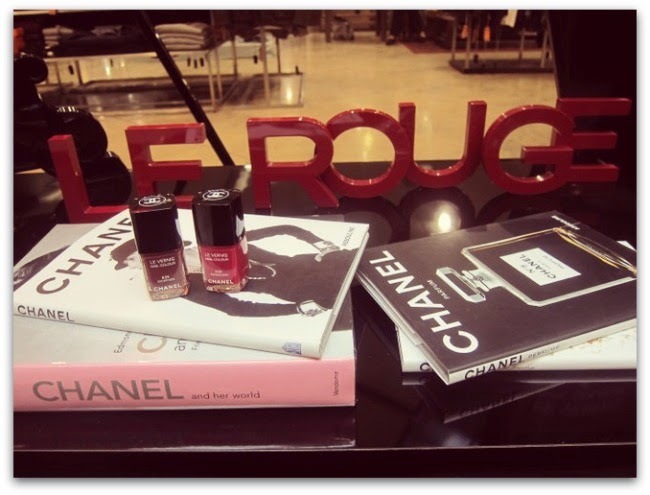 Browse the reading material from Chanel’s literary archive, book in for a manicure or makeover or swatch the latest shades and launches, including the new Rouge Allure Gloss range (check out my review). Chanel Le Vernis in Exception and Expression launched last week with the new Rouge Allure gloss line - you may have seen Expression in action on my Instagram! You’ll also want to mark these dates in your diary: on 11th and 18th October, international celebrity makeup artist Christine Lucignano will present a makeup masterclass on creating your perfect look. And on 9th, 10th and 11th October, celebrity nail expert Pamela Laird will be on-site to create exclusive nail designs with iconic shades of Le Vernis. 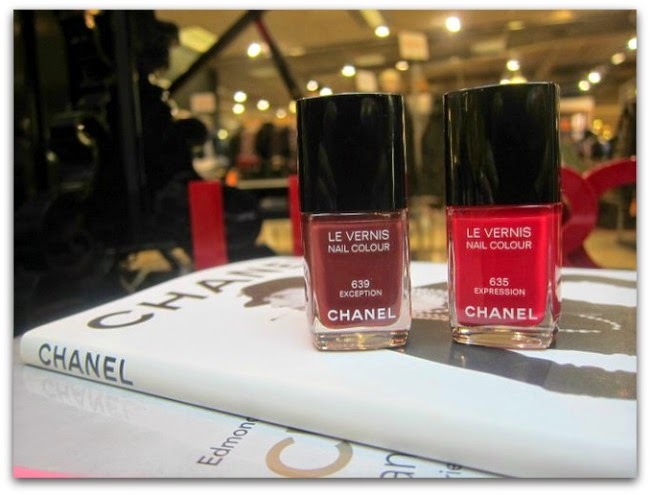 To reserve your appointment, call the Chanel counter at Arnotts on 01 805 0537; a booking fee applies which is redeemable against purchase.